We could soon see Qualcomm modem chips back inside the Apple iPhone. After the billion-dollar Apple v. Qualcomm trial started in San Diego yesterday with jury selection and continued today with opening statements, both sides have reached a settlement covering all legal action between both companies. According to a joint statement released today, Apple will be paying Qualcomm an undisclosed amount of money, and both parties agreed to a six-year licensing agreement that is dated April 1st, 2019. The licensing agreement has an option for a two-year extension. Apple and Qualcomm also signed a multi-year chipset supply agreement. There is no word about the terms of these pacts. The settlement looks good for Qualcomm CEO Steve Mollenkopf who said last November that Qualcomm was "on the doorstep" of resolving the many issues it had with Apple. At the time, Apple CEO Tim Cook denied that a settlement was near, noting that both sides hadn't been in talks since the third quarter of 2018. Apple exclusively used Qualcomm's modem chips in the Apple iPhone from 2011-2015. 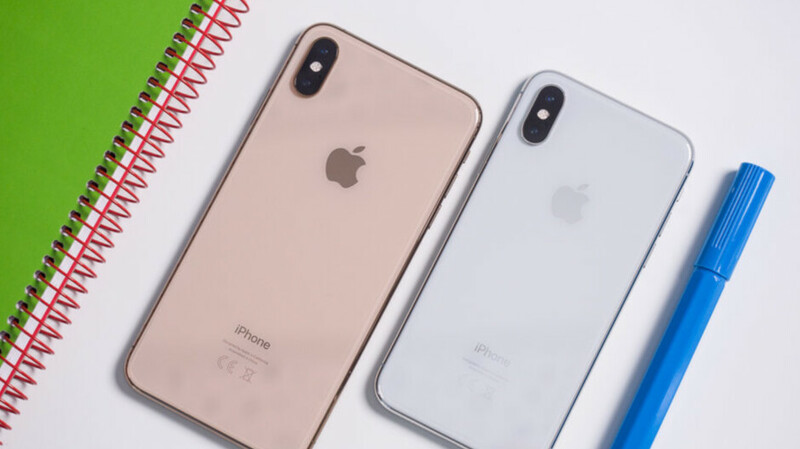 After legal problems between the two started to surface, Apple started using both Qualcomm and Intel modem chips before switching to Intel only for the 2018 models. While Qualcomm already has 5G modem chips available, Intel wasn't expected to ship its 5G modem until later this year. Some inside Apple were concerned that Intel would not be able to deliver the component in time for the company to launch a 5G iPhone until 2021. Apple even revealed in court earlier this year that it had talked to other chip companies including Samsung and MediaTek. This led Huawei to say that it would sell its internally designed 5G modem chips to Apple. Qualcomm's shares surged following the announcement of the settlement with Apple. The stock is up nearly 22% today to $69.64 as the Wall Street trading day comes to a close. Apple's stock was up just .15% to $199.53 after the announcement. But Qualcomm is not yet out of the woods. It still awaits the decision from Judge Lucy Koh related to the FTC v. Qualcomm non-jury trial that took place earlier this year. That trial included testimony related to all of Qualcomm's controversial business practices including its "no license, no chips" policy and its licensing of standard-essential patents at above FRAND rates. Those are patents that manufacturers must license in order for their products to meet technical standards. As a result, the cost to license such a patent is usually arrived at in a fair, reasonable and non-discriminatory (FRAND) manner. If Judge Koh rules against Qualcomm, the company could be forced to change how it sells chips to smartphone manufacturers. Ironically, since Apple and Qualcomm have already signed a licensing and chipset supply agreement covering multiple years, any change that the FTC forces on Qualcomm might not apply to Apple. We asked Apple and Qualcomm if they could release the terms of the agreements, but Qualcomm referred us to the joint press release that was issued today. While the licensing agreement between both firms is dated April 1st of this year, it is unknown when Apple plans on using Qualcomm's modem chips in the iPhone. The 2019 models will probably be unveiled in September and Apple might have to wait until next year before it starts using Qualcomm's parts again. We also don't know if the settlement means that Apple will no longer be working on its own in-house modem chip as rumored. The settlement is a win-win for both sides. Apple now has locked up a supplier of 5G modem chips and doesn't have to worry about whether Intel will have its chip ready for next year. Qualcomm once again will be doing business with Apple on terms that both sides have agreed to, and both companies can lower their future legal bills. Yes, maybe he will change his tune for once. So Venom, you're allowed to voice your displeasure about your experience with Apple, Huawei, and whatever phone you have used before, but the man can't complain about a serious issue that has been plugging the iPhone for a while now? If we had a nickel for every time you complained about your experiences with iPhones, Samsung, and Huawei, we would be millionaires by now. Everyone loves a shout-out lol. You've probably got him smiling now...but then again he's getting what he wanted anyway - apple going back to QC which is the way it should have stayed. Wow Qualcomm ate their own vomit.. Amazing....... Good news for iphone users though. Exactly! This is a primarily a win for Qualcomm. They get the payment that was long over due, they essentially get an admittance of wrongdoing by Apple, they secured a long-term multi-billion dollar contract for that's airtight and Apple can't weasel out of and eliminated Intel as a 5G modem competitor. Apple was never going to win this case to begin with and they needed Qualcomm for future modems as Intel simply didn't measure up and no other modems seemed likely to be secured for 2020. It may not be a win for Qualcomm, but it's definitely no tie. Except for the part where they pretty much got on their knees, opened wide, took a big load from Qualcomm and then asked for seconds. If they had made a permanent enemy out of Qualcomm it would've been no 5G for iPhones in 2020. Samsung couldn't supply any, Mediatek is way behind in quality and performance and Huawei was a no-go because Apple would've been shunned and berated by the US government for using their modems due to "national security issues". Apple could have just bought Intel modem division and secured production lines for 5G modems (1 year would have been sufficient to perfect the deal), so nobody "got on its knees". Extremely wishful thinking on your part. Intel wasn't even sure if they could manage 2020 readiness for 5G modems and suddenly Apple's acquisition would magically make it so? Qualcomm has been working on it for about 4 years, much like Huawei and Samsung. Qualcomm is 5th in 5G charts, with less than 10% contribution to SEP, the same goes for 4G (the only power Qualcomm has is over 2G CDMA - Verizon is going to close its 2G and Sprint doesn't really matter); I think Qualcomm needs Apple more than you realize (did you see the market valuations after the announcement?) and also Apple got a great deal, having access to Qualcomm's chip production lines and time. What? Any time you guys claim any OEM needs Apple is clearly nothing more than a troll at best. Apple does not make ANY hardware whatsoever. Unless you grow your own food in your own yard, you need to go buy it at a grocery store. So thus YOU need them, they don't need you. Qualcomm makes a ton of money from Samsung and other OEM's far more than they do with Apple. Apple's money is pocket change. Apple only buys a single modem from QC. Samsung as an example, buy full SoC's from QC. Those SoC's cost more as a whole. QC does not need Apple. QC owns the technology. Appel cam e to them. You seem to be totally confused on who is the Goose and who si the Gander. Until Apple makes it own hardware, and keeps buyign it from 3rd parties, Apple is 100% at the mercy of that 3rd party. PERIOD. All the fanboy-ism in the the world won't change that fact! Defending any evil corporation who is only greedy for money, and could give 2 chucks about you; is galactic-ally stupid. :) You're just a funny guy who doesn't know how the world he's living in works. Because of the "pocket change" deal with Apple, Qualcomm's market value rose more than 30% - the stockholders made more than $30 billion in an instant - while Apple's value rose by 1% during the same period of time. You funny, funny man :)! Apple likely was gonna lose this case. How the heck did Apple "win"? They blinked first and got their a$$ handed to them. They had zero options for 5G modems without this settlement. LOL, Qualcomm won but, good for apple fans that Timmy boy had to eat crow. The real winners here are the fans. They get back the best in their future phones. Typical isheep who don't understand the article and will just kiss Apple's a$. No, apple ate their own s**t.
6 years is a significantly long time in the world of smartphone business. Biggest loser from today is going to be Intel. I don't think think that Apple is going to make the mistake of having a single strong supplier. Well, I thought of Intel as an alternative and that proved to be inaccurate. But you said Qualcomm chipsets are s**tty and bad? So your not going to buy iPhones anymore? Or is apple going to sell customers phones with s**tty modems? Or you were just bashing Qualcomm because of your fanboisim?